DAVINCI development A/S has entered Danish motorsport, where we have entered into collaboration with the Danish Thundersport Championship, for the development of bodywork for the motorsport series, based on high-end sports coupes. 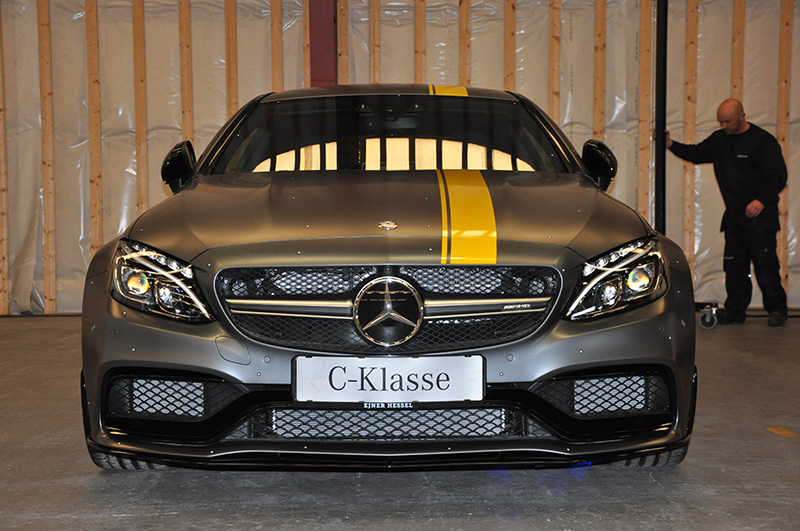 The development is centered around an Audi RS5 and a Mercedes AMG C63. 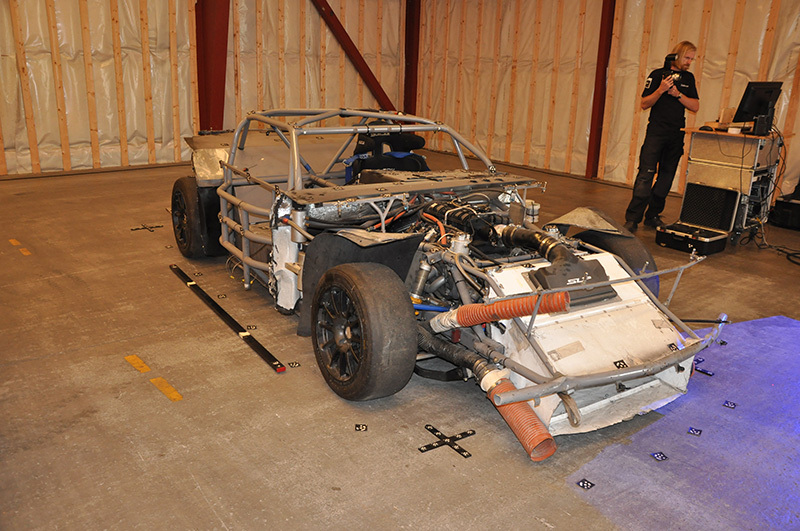 In addition, a 3D scan of a current DTC racecar, a Chevrolet Camaro, has been carried out. Our partner is Zebicon, who has carried out the scans. The first step in the development is concerned with a 3D scan of a tubular chassis, including engine and components. The tubular chassis is reused for the Audi and Mercedes racecars, as they are going to have the same tubular structure as the other cars in the DTC series. 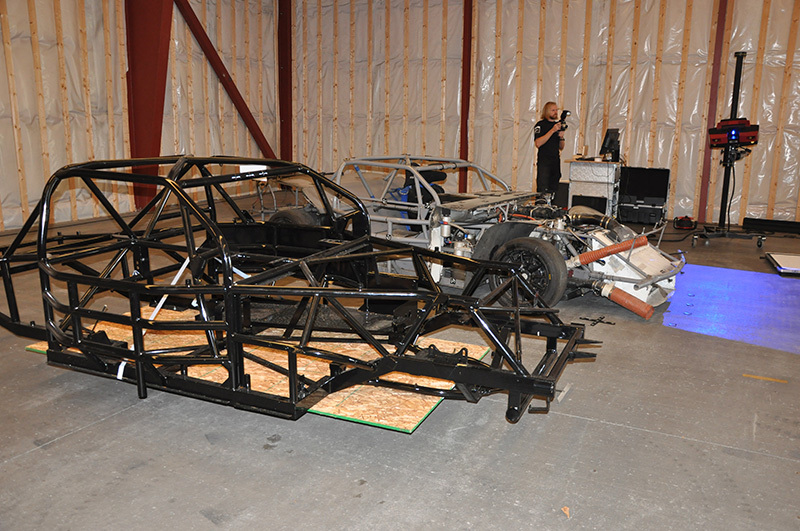 After that, the Camaro’s chassis is scanned, as it is used for comparison with the two new designs. The scan serves as a basis for the design of the surfaces of the Mercedes and the Audi, so that they will have the same width, height and wheelbase as the Camaro. 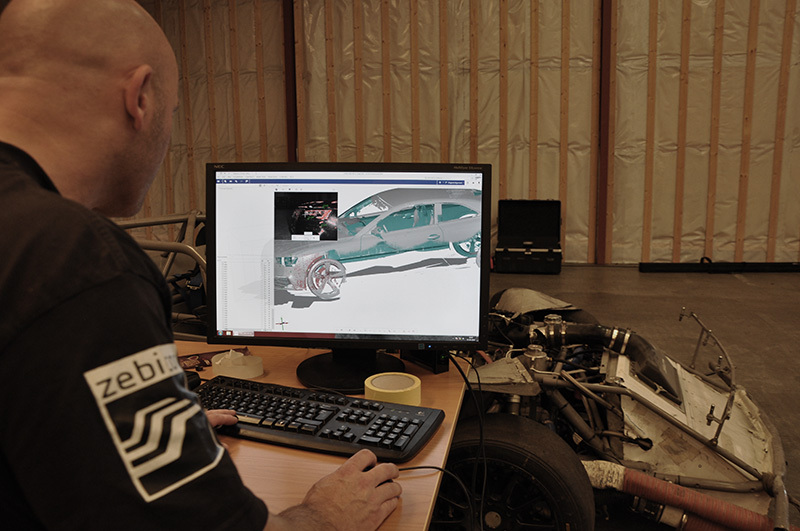 Moreover, the scan of the Camaro provides development team with input for CFD benchmarking. Afterwards, two scans of tubular chassis are carried out; one scan with wheels, engine and components, and one scan of a raw tubular chassis. The next step involves 3D scan of the Mercedes and the Audi. The purpose of the scans is to create a three-dimensional, digital representation as the basis for our CAD model. Here is loose tube frame and tubular frame with engine and components mounted. Here is the full tubular frame mounted and prepared for 3D scanning. Here is the back end of full mounted tubular frame ready to be 3D scanned. 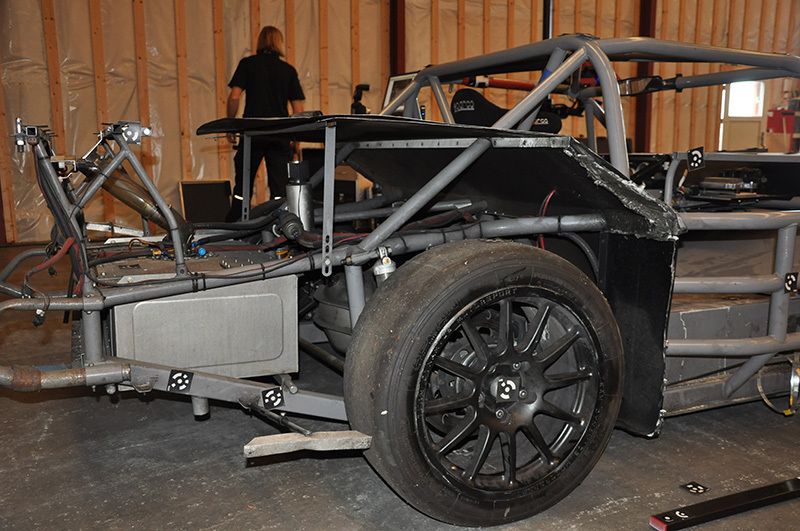 The scans of the tubular frames and the cars presented some challenges. Firstly, we had to find a location, which was suitable for scanning the cars. Secondly, the Audi, which was the subject of one of the scans, was in a high gloss red color, which are the most problematic features to scan. The best possible conditions for a high-quality scan requires that the surface is as matte and as far from the color red as possible, as it results in poor reflections of light. Moreover, the scans revealed that the tubular frames are asymmetric, which means that the 3D model must be digitally aligned, in order to become symmetric. Despite the challenges, we succeeded in creating a three-dimensional, digital representation as the basis for the CAD model. 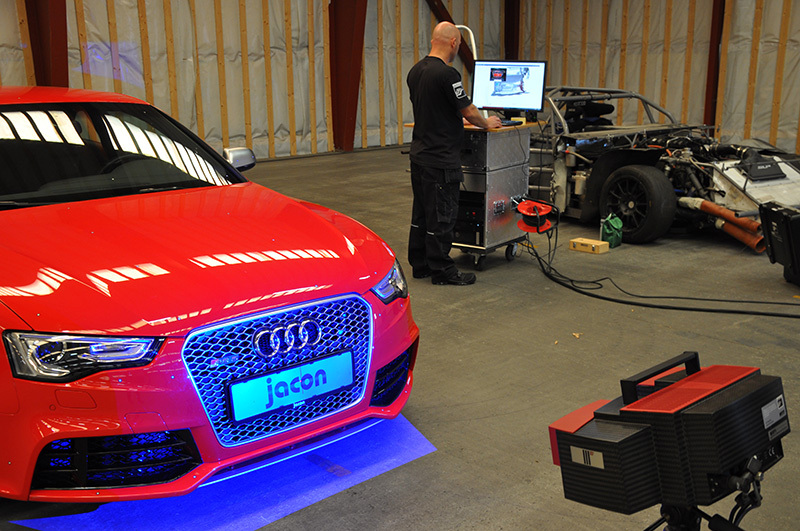 Audi RS5 in the process of being 3D scanned. Mercedes AMG S63 is prepared for the 3D scan. DTC Camaro readied for 3D scan. 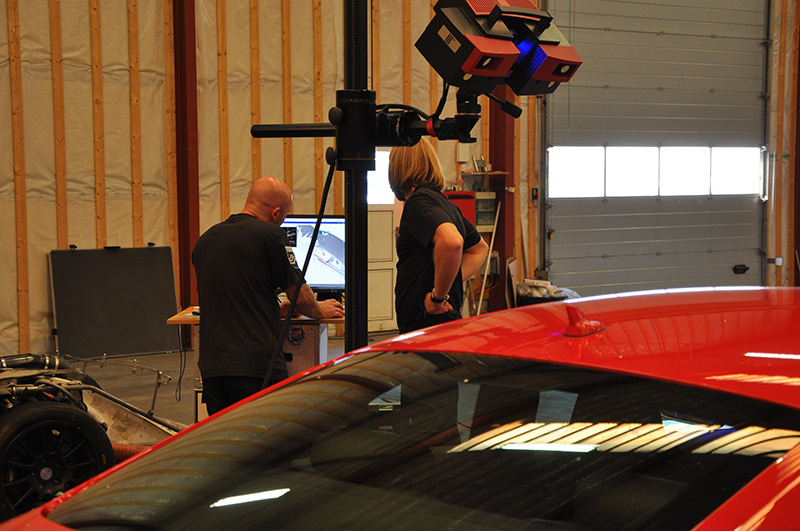 The front of the Audi resultet 3D scanned and analyzed.